Baywood Ukulele Social Club: B.U.S.C. Numbers Up! It was beautiful on Sunday, August 7, the day of our second meeting of the B.U.S.C. at the Back Bay Cafe in Baywood. 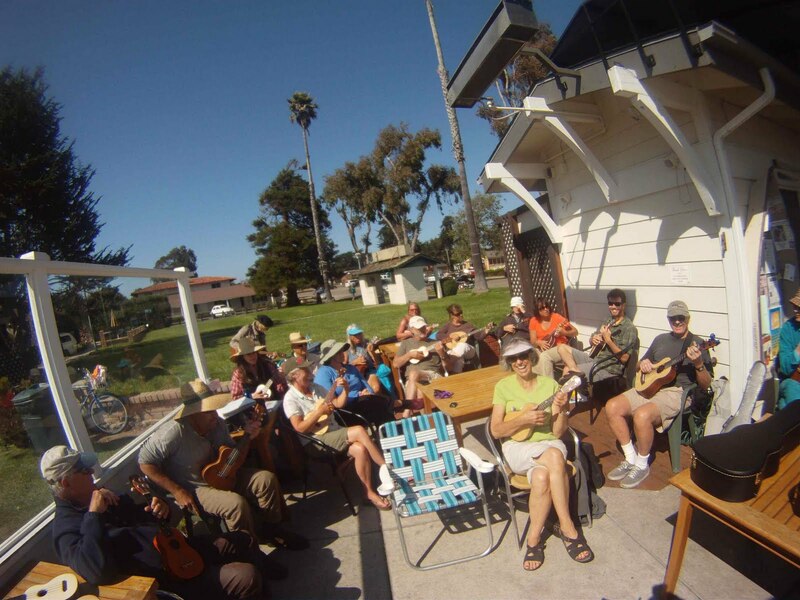 Upwards of 25 folks braved the sunshine and gentle sea breezes to strum and sing their way through an eclectic mix of songs. Next meeting is Sunday, August 21 @ 3pm. A good ear training exercise would be to Google the lyrics to the songs we played and try playing them by ear without looking up the chords. All the songs we played only contain one to three chords.